Few Americans have observed the ups and downs of presidential leadership more closely over the past thirty years -- from Nixon to Clinton and Watergate to Whitewater -- than David Gergen. A White House adviser to four presidents, both Republican and Democrat, he offers a vivid, behind-the-scenes account of their struggles to exercise power and draws from them key lessons for leaders of the future. 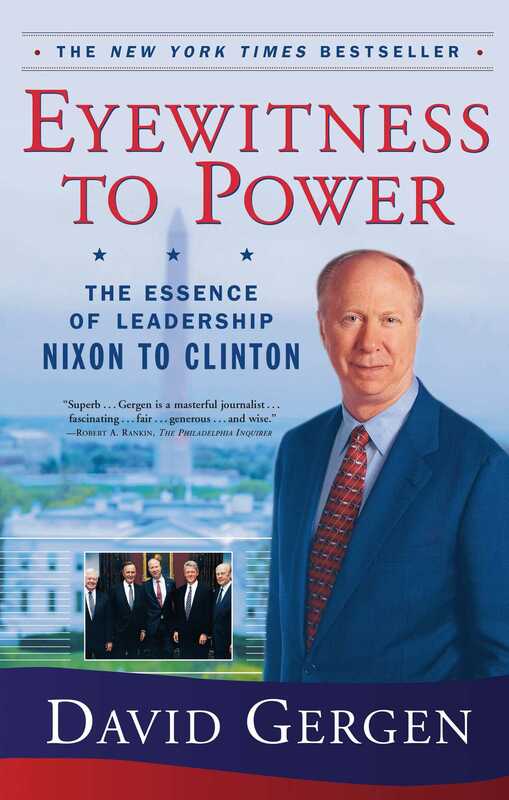 Taking us inside the administrations of Nixon, Ford, Reagan, and Clinton, Gergen reflects on everything from why Nixon was the best global strategist among recent presidents to how the Bill-and-Hillary seesaw rocked the White House during Clinton's tenure as president. Gergen argues that, as the twenty-first century begins, our success as a country will depend heavily upon the success of a new generation in power. Drawing upon his many experiences in the White House, he offers seven vital elements for future leaders. What they must have, he says, are inner mastery; a central, compelling purpose rooted in moral values; a capacity to persuade; skills in working within the system; a fast start; a strong, effective team; and a passion that inspires others to keep the flame alive. Robert A. Rankin The Philadelphia Inquirer Superb...Gergen is a masterful journalist...fascinating...fair...generous...and wise. Michael Beschloss author of Taking Charge: The Johnson White House Tapes, 1963-1964 A preeminent political analyst and public servant reveals intriguing hidden dimensions of the four presidents he served and brings us a meditation on presidential power that, like its author, is shrewd, thoughtful, and wise. Jon Margolis The New York Times Book Review Perhaps nothing distinguishes Gergen's book from other White House memoirs more than the fundamental sympathy and respect he shows toward all the presidents he served.